This article was previously published in the World Economic Forum Blog, on November 2, 2017. Throughout history, women have managed to win rights, gain respect and reach positions of power. This year Argentina celebrates 70 years since 9 September 1947, when Congress gave women the right to vote. This was just one of the many rights women have fought for and achieved over time. 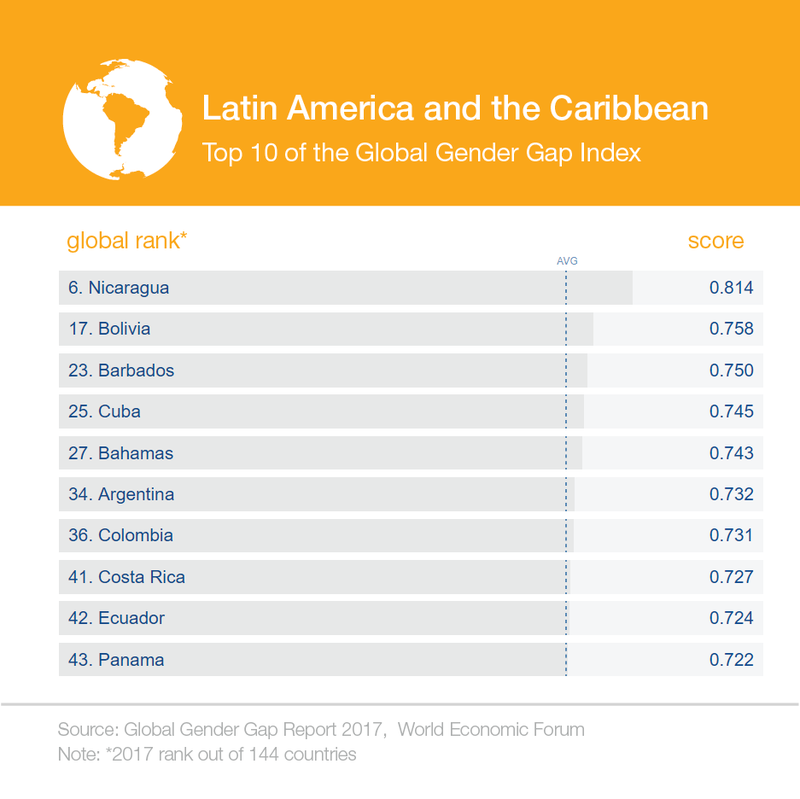 Although there has been a lot of progress towards gender equality, it is public knowledge that in some contexts inequality between men and women persists. For a long period of time, women have been marginalised from society, and there are countries where this continues today. They have adapted to male-dominated models of society, rather than contribute the wealth that is particular to women. The world needs men and women working together in all aspects of life. Both are important, we do not have to replace one with the other. We need to understand that leadership is neither feminine nor masculine. It has the identity, the imprint of whoever wears it. Certainly, female attributes help build a more humane culture and that is one of the reasons why their contribution to public life is so important. Their collaboration benefits social, economic and political life. For example, it has been shown that hiring women and placing them in high positions generates great benefits for companies. According to the International Monetary Fund, companies with more women show a 34% increase in earnings. In the same way, it has been proven that a greater participation of women in the labour force could boost global GDP by up to $12 trillion. However, more than half the companies in Argentina do not have women in top management positions. We must change that percentage for the good of everyone. Also, we need women taking part in public policy-making. In this regard, I am proud to say that the Argentinian National Congress ranks among the 20 parliaments with the highest percentage of women's participation (coming 16th out of 193 parliaments) and we have many other female figures occupying high, elected positions. Today, we can say that 40% of Argentina’s national GDP is administered by female governors. We need women getting involved in all aspects of life because their attributes can play a part in solving the serious problems of today, such as migration, social services, drugs, healthcare and the environment. In all these areas, a greater presence of women in society will prove most valuable, and will help highlight the contradictions present when society is organised solely according to the criteria of efficiency and productivity. Moreover, women are recognized as having a sharper intuitive ability, a greater capacity for communication, empathy, flexibility and organization that generates social transformations that benefit everybody. Perhaps more than men, women acknowledge the person, because they see people with their hearts. They have the facility to see them independently of various ideological or political systems. They recognize the greatness and limitations of others; they try to go out and help them. Today, one of the biggest problems in society is violence against women and girls. Many of them are still in very difficult situations, despised, marginalized, sexually harassed, and even reduced to slavery. We must unite, men and women, to definitively eradicate any type of aggression towards women. We must work together, instill the values of respect and solidarity through education, and commit ourselves to the victims. Women’s potential is enormous and has been demonstrated in many ways. If half of the world’s talent is not integrated, the world will not progress as it should. Today we have the opportunity to do it, do not waste it, and make the change we want to see.